Joni Avery Susan G. Komen 972.855.4382 press@komen.org Olivia Adams Byrum & Fisk Communications 616.726.7705 oadams@byrumfisk.com Funding is part of Susan G. Komen®’s national initiative…. 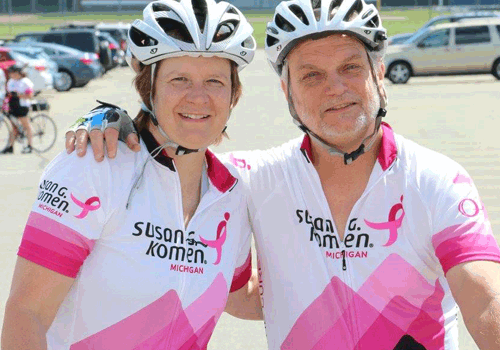 Komen Michigan Celebrates Survivors, Doers, Community Partners Who Help in the Fight. 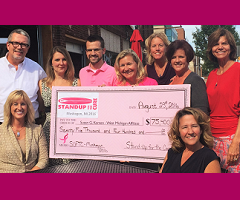 Standup for the Cure Continues to Make Strides in Muskegon and Across the Country! The second Annual Standup for the Cure, Muskegon, hit the beach of Harbor Towne on Saturday morning to help continue the fight against breast cancer. 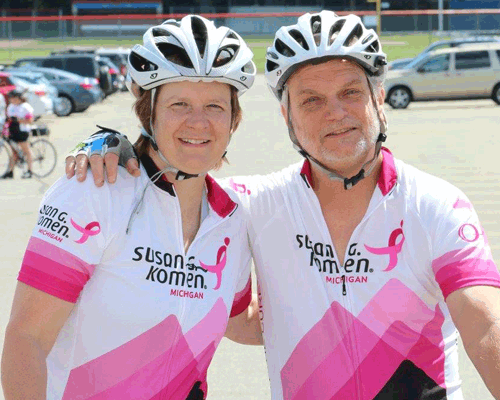 Susan G. Komen® Michigan is pleased to announce that this year’s Mid-Michigan Ride for the Cure®, presented by Lake Trust Credit Union, will be held on Saturday, July 16th in Brighton, MI. “We were thrilled with the success of Standup for the Cure and hope to beat last year’s attendance of 500+ participants and over $65,000 raised” said Jennifer Jurgens, Executive Director of the Michigan Affiliate of Susan G. Komen and breast cancer survivor. Thanks in part to events such as the Susan G. Komen® Race for the Cure, Komen Michigan is able to invest in breast health programs that support the community.